Over the weekend in a London nigh club while Young Joc along side T-pain were enjoying the VIP experience. When sources say a fight ensued near by. 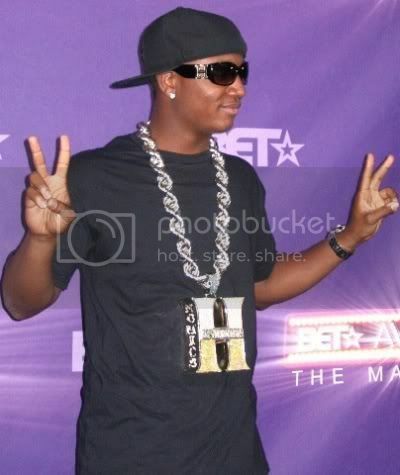 Joc and Pain were not involved with the altercation however, during the midst of the commotion someone snatched Young Joc’s ridiculously huge “H” chain. Allegedly T-Pain tried to stop the jewelry thief, but the assailant got a way. The necklace in question is said to be worth $150, 000. So be looking for it on Ebay. I Know You See It.